The Trinidad and Tobago Football Association (TTFA) is in the midst of another financial crisis after FIFA confirmed that it has frozen its annual US$250,000 (approximately TT $1.5 million) subvention to the local body while the TTFA’s auditor, KPMG, has also suspended its services. 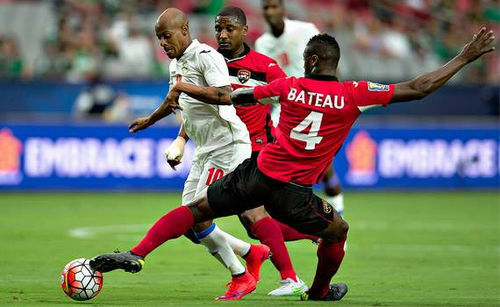 Photo: Trinidad and Tobago defender Sheldon Bateau (right) tackles Cuba attacker Ariel Martinez (left) while teammate Andre Boucaud looks on during the July 2015 Gold Cup. As a result, the TTFA’s administrative staff has not been paid since June. And, worse, without KPMG’s assistance, the football body has no chance of meeting the criteria for funding set by FIFA or the Ministry of Sport. 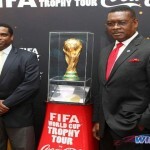 Yet, on the surface, TTFA president Raymond Tim Kee and general secretary Sheldon Phillips present a facade of calm and progress, as they recently embarked on a media tour to boast of their leadership. Phillips confirmed to Wired868 that the TTFA has not paid its office staff since June. Phillips refused to give details regarding FIFA’s actions, though. Tim Kee did not return any calls to his mobile phone or respond to a presumed prompt from Phillips. However, Wired868 can confirm that the TTFA’s problems are directly related to its own accounting issues. FIFA releases just over US$250,000 (approximately TT $1.5 million) annually to its member association under the Financial Assistance Programme (FAP), which is paid in four tranches. 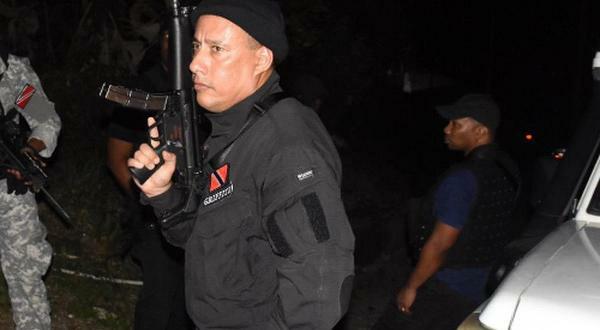 However, that payment was not wired to Trinidad in July. 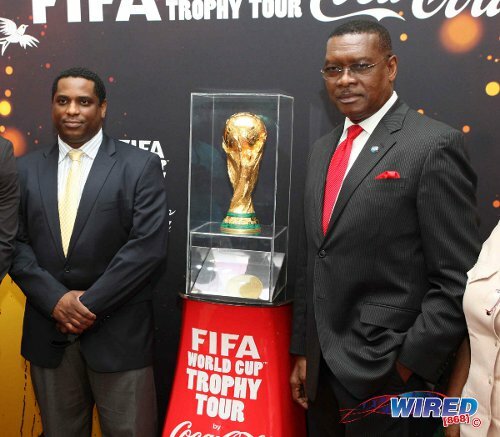 A FIFA spokesman told Wired868 that it had turned off the tap due to the TTFA’s failure to provide audited accounts. 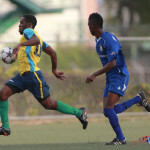 “As mentioned to you previously, in accordance with the General Regulations for FIFA Development Programmes, all member associations including the TTFA have to comply with certain standard procedures,” stated FIFA, via an email, “such as internal financial audits in order to receive funds corresponding to the Financial Assistance Programme (FAP) and other FIFA development programmes. 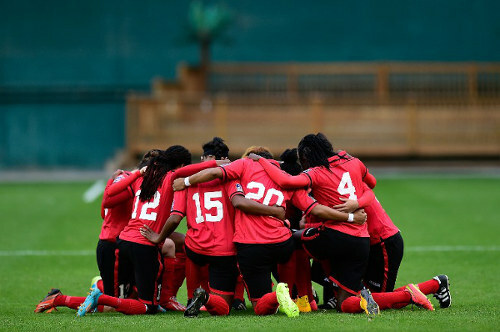 Photo: The “Women Soca Warriors” get ready for action during their 2015 FIFA Women’s World Cup qualifying adventure. According to the General Regulations for FIFA Development Programmes, Tim Kee and Phillips were duty-bound to provide audited financial statements approved by the TTFA executive and presented to its general assembly. The TTFA audit, according to FIFA, should have been up to December 2014 and ought to have landed in Zurich by 31 March 2015. But, up until 22 May 2015, the football body had only done audited statements up until 2008. Ironically, Tim Kee blasted Sport Minister Brent Sancho for his initial refusal to release taxpayers’ money to the football body without the proper audited statements. After a two-month stand off, Sancho relented and resumed State funding for the TTFA. 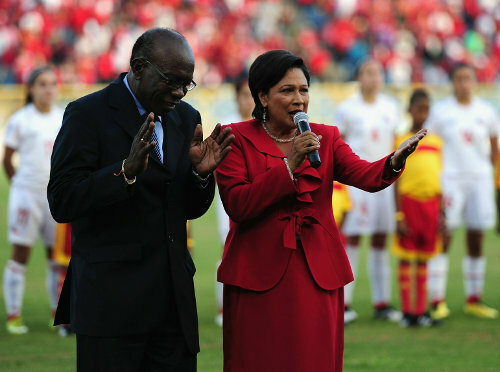 FIFA has so far refused to be as lenient and, with president Sepp Blatter on the way out, there is no more patience for the excuse that it is all the fault of ex-FIFA vice president Jack Warner. It has been four years since Warner quit all his football posts and three years since 13 World Cup 2006 players took several accounting documents out of the TTFA’s headquarters during a court ordered levy. Tim Kee has repeatedly said he inherited a financial mess at the TTFA that was not of his own making. Arguably, the TTFA’s constitution says otherwise. Under the current constitution, which should be formally replaced within the next two months, the TTFA’s vice presidents are assigned specific responsibility for one of three areas: Technical Matters and Development, Funding and Finance, and Competitions and Tournaments. For more than a decade, Tim Kee had direct responsibility for “Funding and Finance” at the TTFA, including the controversial period before and after the 2006 World Cup. 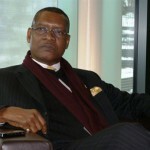 And, although Tim Kee claimed he did the 2006 “Soca Warriors” a favour by helping them to receive a settlement for money owed through a World Cup bonus agreement, he had more than a passing responsibility for the football body’s finances at a time when the TTFF gave the players bogus income statements related to the prestigious FIFA competition. Tim Kee is also the PNM treasurer and Port of Spain Mayor. And, with Trinidad and Tobago’s general elections looming in 2015, there is concern that, should the PNM replace the People’s Partnership, the TTFA president might hope to use taxpayers’ money to cover the financial irregularities within the football body. Still, Tim Kee and, by extension, the TTFA are not the only culpable parties. FIFA violated its own FAP rules for over a decade as it continued to fund the TTFA despite the local body’s failure to fulfil its accounting obligation to the Zurich-based governing body. And, even after Warner’s controversial departure in 2011, FIFA continued to send cheques to Trinidad. The FAP money is used primarily to pay the TTFA’s office staff and general secretary, Phillips. Phillips, despite the TTFA’s failure to raise money from the private sector, receives a salary of just over TT$23,000 per month plus a housing allowance of around TT$21,000 and a company car. Yet, although the TTFA agreed to pay Wallace to absorb some of Phillips’ key duties, the general secretary’s salary remained untouched. And, although Phillips’ contract expired in May, he continued to operate and be remunerated as general secretary. The TTFA’s new crisis started with the United States Department of Justice’s swoop on FIFA, just before Blatter’s re-election in May. As US law enforcement agencies started faxing extradition requests to Zurich, FIFA officials were apparently no longer willing to turn a blind eye to errant football bodies. And the TTFA’s pleas for leniency fell on deaf ears. Crucially, KPMG was also spooked. After the DOJ’s arrests, the global auditing firm took a battering for its role as auditor for FIFA and many of its member associations. KPMG’s audit, according to MarketWatch.com, is intended to express an opinion on whether the financial statements, prepared by FIFA personnel according to International Financial Reporting Standards, are free from material misstatements. KPMG reviews the organisation’s internal controls when deciding which audit procedures to perform but did not, in FIFA’s case, express an opinion on the effectiveness of their internal control system. 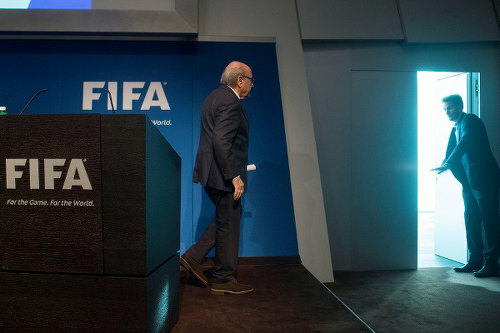 Photo: Sepp Blatter heads for the exit in Zurich after announcing his intention to step down as FIFA president on 2 June 2015. Did KPMG decide, belatedly, that the TTFA was not worth the trouble? The auditing firm declined comment on its relationship with the local football body. However, Wired868 was reliably informed that KPMG’s international body suspended its services to the TTFA soon after the FIFA Congress in May. And there is no timeline for a resumption of the relationship between the two bodies. Phillips insisted that the TTFA was not responsible for the KPMG suspension of services although he said the local football body was trying to “sort things out” with the international auditing firm. 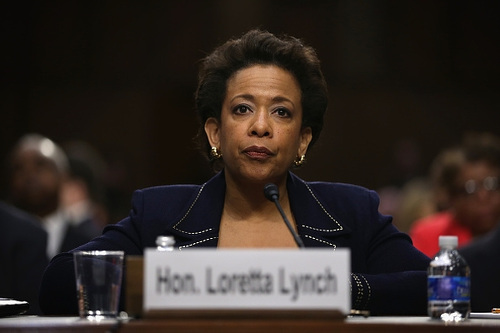 Photo: United States Attorney General Loretta E Lynch. Was KPMG, like FIFA, guilty of turning a blind eye to the TTFA’s or TTFF’s shenanigans? It is worth noting that, while KPMG was responsible for auditing the TTFA, the auditing firm had no such authority over the football body’s various Local Organising Committees (LOC), which never seemed to close. Tim Kee, the then TTFF vice president, was copied in on the statement. The letter, which was dispatched a full two years after the 2006 World Cup, not only implicated Tim Kee in the possible diversion of funds that should have gone to the football body. 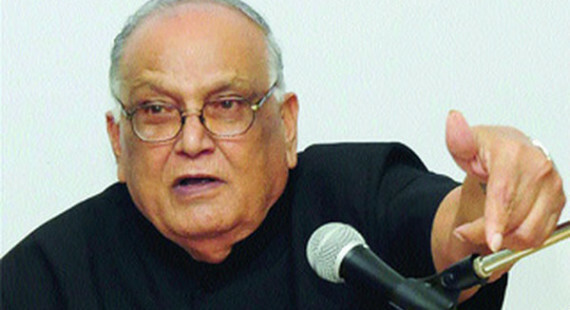 It might also explain why the TTFF repeatedly refused, even under the threat of contempt of court, to hand over the LOC’s accounting statements to the Trinidad and Tobago High Court, during the bonus dispute. For instance, in 2010, Warner instructed the South Korea FA and FIFA to wire a combined US$750,00 (approximately TT $4.5 million) in aid relief for Haiti to the LOC rather than the KPMG-audited TTFA. 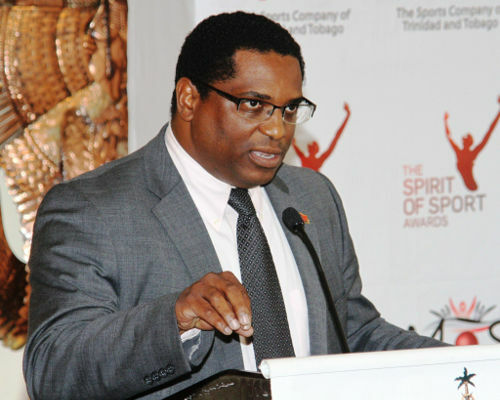 For years, the TTFA pointed to KPMG’s reputation as a defence to accusations of fraud and misappropriation of funds while Tim Kee claimed that the football body’s scandals had nothing to do with him. It appears that nobody is accepting either excuse anymore. And, without FIFA money and a cool response from the private sector, Tim Kee would be desperate to benefit from State funding if he is to have any chance of retaining his post at the TTFA’s election in November. In the interim, the TTFA has used 2015 CONCACAF Gold Cup prize money and funding for different programs to keep the national teams afloat while Tim Kee continues his standoff with the Sport Minister. The football body will also play Mexico in an international friendly in Salt Lake City, Utah on September 4. In keeping with tradition under the current TTFA leadership, details of the match contract were not only hidden from the media but from its own executive as well. According to one London-based football agent, who operates in the Caribbean, match agents usually charge the host nation a minimum of £5,000 (approximately TT$50,000) per game plus “full affair costs”, which means all expenses such as travel costs and match fees. On top of those fees, agents usually demand a percentage of gates and television revenue as well. 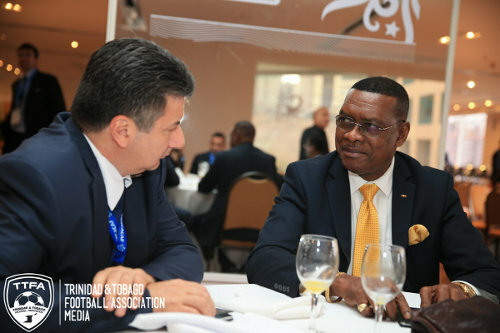 Trinidad and Tobago, according to the agent who spoke on condition of anonymity, is an attractive proposition for match agents as it is one of the few international teams that generally has all its affair costs paid for by its government. So, in theory, a match agent could charge the Romania or Jordan FA for the cost of airline tickets and match fees for the Warriors and then pocket that money once the trip is written off by the Ministry of Sport. On top of that, the agent would still benefit from a booking fee and cut of the gates and television rights. Phillips was a match agent and ran his own company, Element Agency, before he took up the position of TTFA general secretary in May 2013. He claimed to have closed the company then. 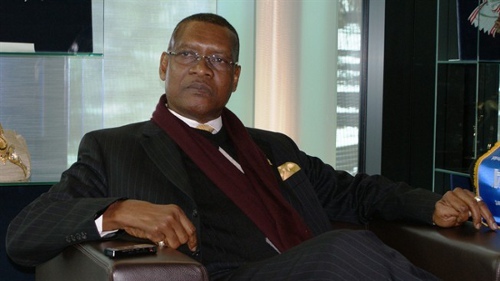 However, more than a year later, Wired868 received documentation that showed Phillips using his Element Agency email account to conduct TTFA’s business for a high profile friendly away to Argentina. 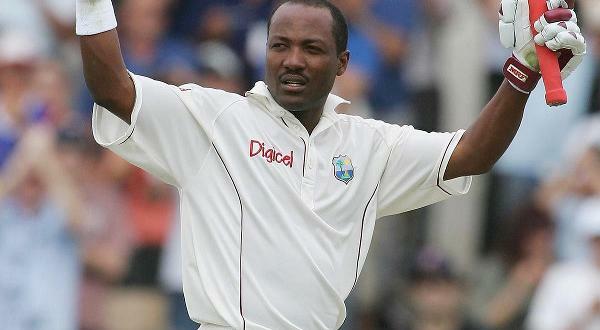 Phillips claimed it was an honest mistake. 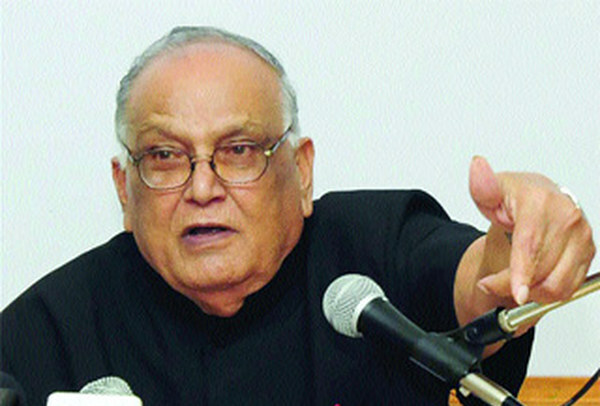 There is serious tightening on releases from the government since Mr.Howai became finance minister. It has always been a requirement that on the second day of the month the accounting officer must submit to finance their expenditures for the previous month and their request for the current month. 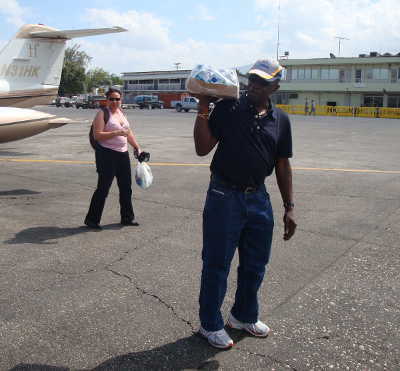 This was not strictly followed under the PNM and disbursements were made without proper documentation. The cricket board had to fix this issue before funding was resumed. Maybe they should burn down the office? I will take any bet you call that Phillips isn’t suffering Lasana. He is not going to do that Earl. Someone should explain to him that he is governed by the same Company’s Act that holds officers liable for their actions. Conceivably, a new Executive could come in and sue him for his failure to implement proper internal controls and there are no statute limitations on that. 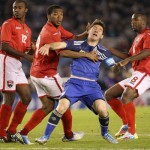 He can and should be made to answer for his sorry stewardship of the TTFA. No. It is two full terms Earl Mango Pierre. And Tim Kee completed Camps’ four year term. So he can serve as president for two more terms technically. Kendall Tull, Phillips insist that he has not been paid while the staff isn’t being paid. I cannot verify that and I don’t know if that inconvenience extends to his housing salary and company car. As I mentioned, there is concern about the other income raising opportunities open to the TTFA which might be exploited. Like all those overseas friendlies. The I not read somewhere here that in the new constitution of the corrupted TTFA that no president will be allowed to be the head of the organization for more than two years so isn’t the Mayor time almost up? Sometimes it’s best to remain silent and have the world think you a fool, than to open your mouth and… well, you know the rest. And KPMG is just trying to close the barn door after the horses have bolted. They have completely dropped the ball in failing to test FIFA’s internal control system as part of their audit. If this was a major public company, they would be toast like Arthur Andersen. Burn it to the ground. Raze it and get rid of EVERYBODY currently involved in the TTFA. Brian Springer made a good point about the lack of candidates for the TTFA Presidency. I also agreed with his statement that the rest of the Executive are useless and often don’t have a clue about what’s going on. I am truly fed up of the complete lack of good governance. I bet Sheldon Philips is still being paid while the rest of the staff sucking salt. And Savitri – I don’t know why you were surprised that these ppl are stealing tax payers money. This has been going on forever.